Gatimaan Express will run at a maximum speed of 160 km per hour. New Delhi: Passengers of Gatimaan Express, India's first semi-high speed train, will not only be ushered to their seats by train hostesses and offered roses but will also be given free access to multimedia content such as movies, news and cartoons during their journey to Agra. The much-awaited Nizamuddin-Agra Gatimaan Express will be flagged off on April 5 by Railway Minister Suresh Prabhu from Nizamuddin Station with a music band playing shehnai in the backdrop. Aiming at attracting tourists visiting the City of Taj, the Gatimaan Express will run at a maximum speed of 160 km per hour covering the 200 km long distance in 100 minutes. "We are trying to provide the best service to passengers in the first semi-high speed train. While quality food with multiple choices will be offered to passengers, they will also be given free access to multimedia entertainment on their seats," said a senior Railway Ministry official. He said hotspot devices have been installed at coaches to access multimedia services by passengers free of cost directly on their smartphones, tablets or laptops. The service will give users access to a wide variety of multimedia content such as movies, videos, TV serials, film documentaries, video songs, news, sports videos, cartoons and devotional songs. Passengers will have to download an app and access the service free of cost while the service providers will show some advertisements for limited duration, he said. Describing the multimedia arrangement for passengers as win-win proposition for railways, the official said service provider will give us about Rs 7.5 lakh for showing advertisements. "We are trying to provide best possible services matching flight catering services. There would be hostesses on the train and both Indian and continental cuisine will be served. Passengers will be treated to wholewheat upma, mini dosa, Kanjeevaram idli, fresh cut fruits, aloo kulcha, swiss roll, roasted dry fruits and chicken roll. Chicken sausages with Spanish egg white omelette and date walnut slice cakes will also be served in Bone China. The 12050 Nizamuddin-Agra-Nizamuddin Gatimaan Express will run six days a week except on Fridays in both the directions. According to the schedule, the train will start its journey from Nizamuddin at 8:10 am to reach Agra at 9:50 am. In the return, the Gatimaan Express will depart from Agra at 5:50 pm to reach Nizamuddin at 7:30 pm. Eyeing the tourism potential of the train, IRCTC has also finalised a package involving bus service, sightseeing and lunch at Agra for tourists. Equipped with a 5,400 HP electric locomotive, the train will have two Executive AC Chair Cars and eight AC Chair Car coaches. The train will have a high-power emergency braking system, automatic fire alarm, GPS-based passenger information system and sliding doors in the coaches. The fare for chair car in fully air conditioned Gatimaan Express has been fixed at Rs 690, while for Executive Class it will be Rs 1,365. In Delhi-Agra Shatabadi Express, the chair car fare is Rs 540 and Rs 1,040 for Executive Class. 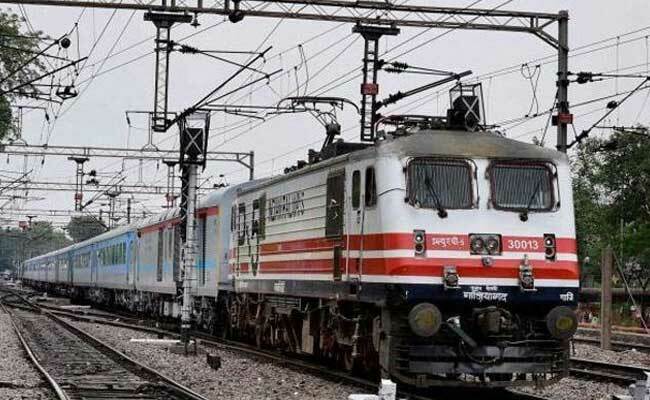 Railways plans to roll out such trains on nine more routes including Kanpur-Delhi, Chandigarh-Delhi, Hyderabad-Chennai, Nagpur-Bilaspur, Goa-Mumbai and Nagpur-Secunderabad.